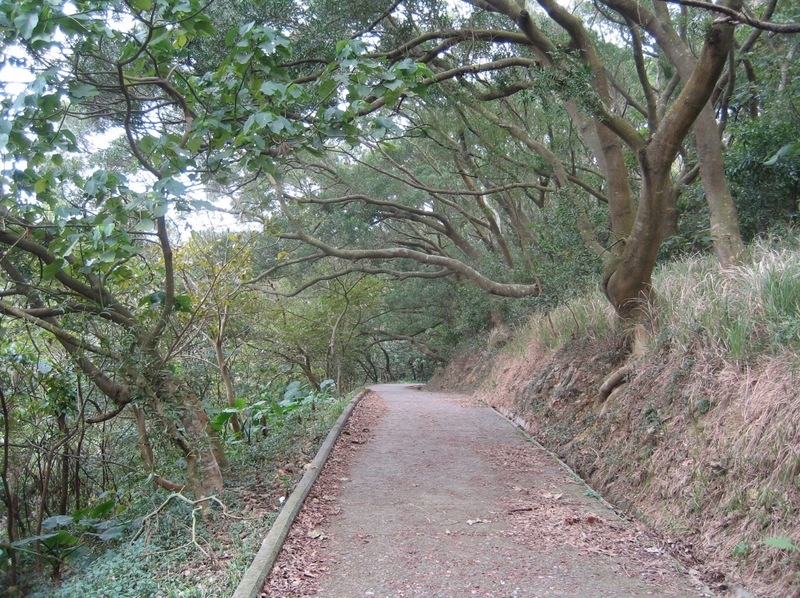 Hong Kong Trail Stage 2 begins at Pok Fu Lam Reservoir Road, from where we just walk downhill. 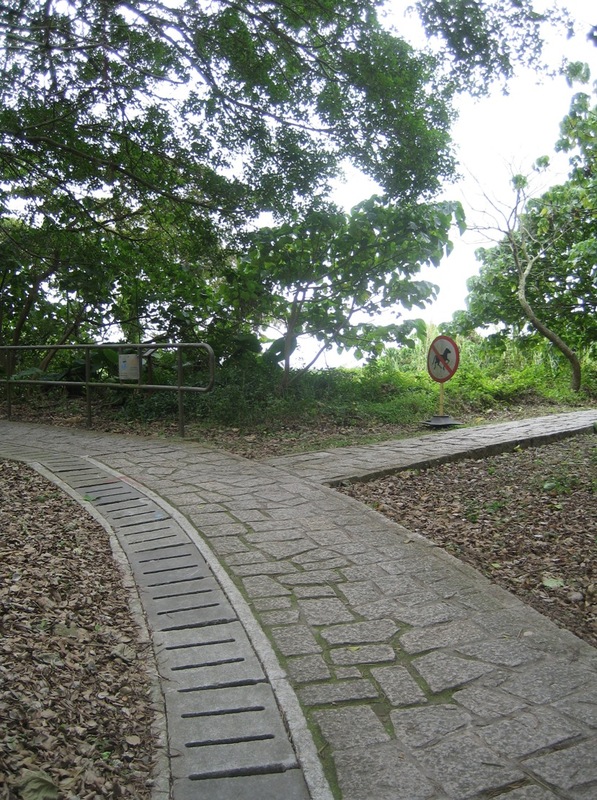 Once at the reservoir (which was the first water storage facility on Hong Kong Island), we had to turn left and climb up the steps. We pass through an area of tall grass and young tees, with occasional view out to the sea, till we reach another road. There are some signs to watch out for horses, at which we laugh. But our guide book tells us that there is a riding school further down the hill. We did not see any horses though, but good to know for the future! We turned right and walked around Mount Kellett. 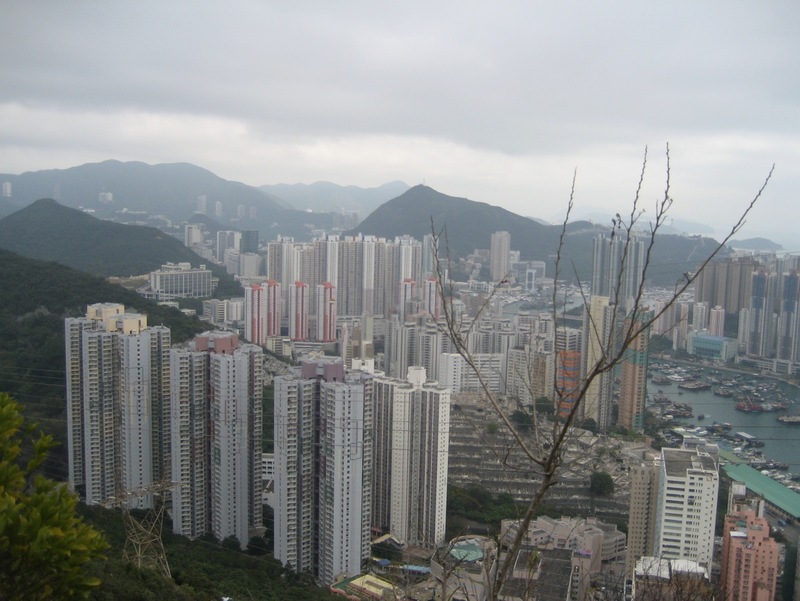 The trail goes down hill, passing a Chinese-style pavilion with upturned eaves, and we come to a view point from which we can see Aberdeen and in the back Lamma Island. The route heads eastwards, past a catchwater, with Aberdeen below providing a scenic as well as noisy background. The catchwater and stage two both end by the sandy riverbed at Peel Rise. 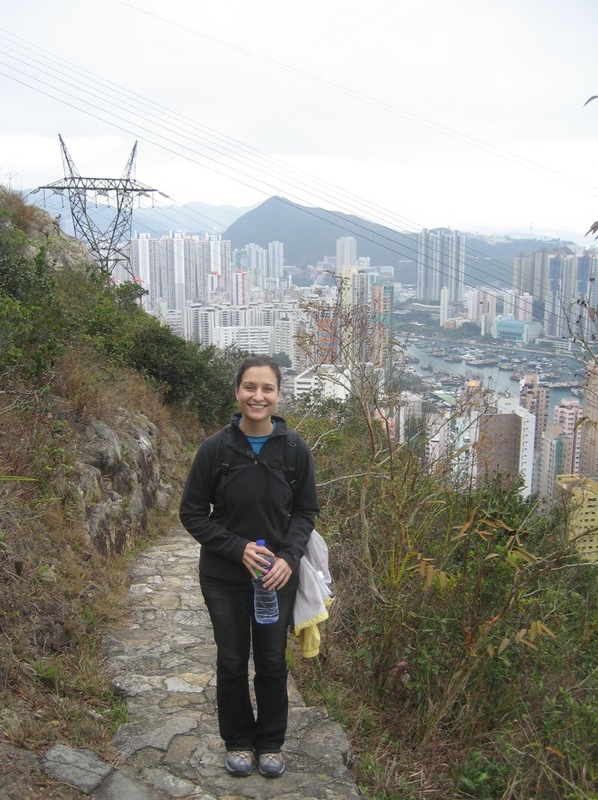 I did this stage yesterday, actually I had not been hiking in Hong Kong since I was at school. Then on impulse decided to do stages 1 and 2 of the HK trail. Well I have to say I bricked it! Going solo in jeans and T-shirt, no compass, although I did have a pdf trail map on my phone. It got so dark in places due to the canopy of the trees but when I began that descent I started to feel my fear of heights! Not great when sunset was due in maybe 30 minutes! And at the bottom there is a sign warning of the ascent/descent but nothing similar at the top!